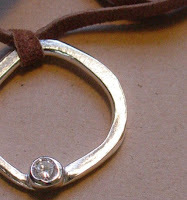 The classic eternity circle is interpreted beautifully by artisan jewelry makers on Etsy. 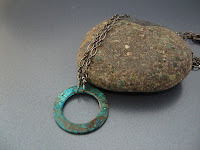 This group reflects my personal favorites that are available today, using the search term "eternity necklace" which brought up 15 pages of creations. 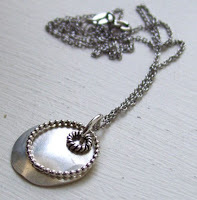 Etsy artists offer these lovely, unique creations at tempting prices. The Circle: Ancient cultures held the circle as a symbol of wholeness and unity, the goddess/feminine spirit, the cosmos, and a sacred space. 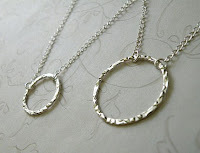 To me, circular forms are calming and a bit mesmerizing. 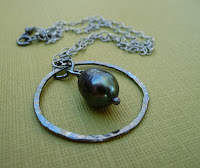 I love a freeform circle or one that is hand-forged -- a bit off kilter and organic. 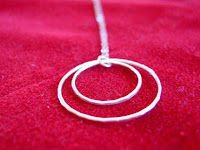 Perfect circles are rarely found in nature, and machine-made circles bore me so I prefer handmade. 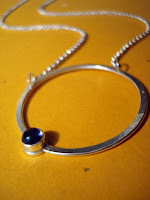 Thanks for your beautiful work and for visiting this new blog! I hope to see you here again. 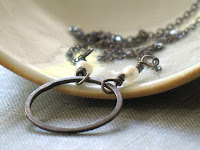 Thanks so much for including my jewelry in your lovely new site! You did a great job with it. I wish you much sucess with it! Your creations are absolutely stunning! Thanks for visiting.